Neil Young is probably most known for his solo albums, but he has also been a member of several groups, most notable Buffalo Springfield, Crazy Horse and Crosby, Stills, Nash & Young. These and other groups Young have played in are presented here. Neil Youngs first band that he played in living in Winnipeg. 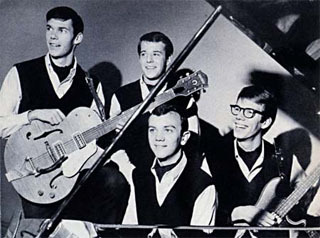 The band was formed 1963 and existed for approximately two years. The only recording was a single with the A-side “The Sultan” and the B-side “Aurora”. On Archives Volume I these two and four additional unreleased songs by The Squires can be heard. This is probably the least known by the groups Neil Young have played in. Mynah Birds already existed for two years then Neil joined the band in 1966. So far they had only released a single and an album was planned, but it all came to an abrupt end after one of the members got arrested for deserting from the navy. Soon after that Neil left the band and his appearance in Mynah Birds can today be seen as a parenthesis. Neil Young got his first serious breakthrough playing with Buffalo Springfield. He already knew Bruce Palmer from Mynah Birds and he had made the acquaintance with Stephen Stills in Toronto some years back. Neil Young got into the group because a guitarist was needed. Richie Furay was the singer, but Neil would be part of the vocals on some songs. Stephen Stills wrote the most songs, but Neil also contributed with many songs like for example “Nowadays Clancy Can’t Even Sing” that became the first single. Another Neil Young written song worth mention is “Expecting To Fly” that was on the second album. Buffalo Springfield was known to perform better live than in the studio. 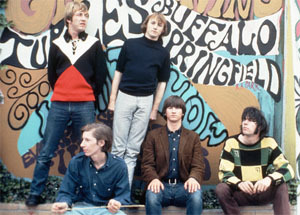 Among the three albums the group released is the second one, Buffalo Springfield Again, ranked highest by the most. Neil Young wasn’t always pleased with his position in the group. The other members didn’t bring some of his ideas into play and he wasn’t allowed to sing as much as he wanted. In the studio, he and Stills were often in arguments. The third album, Last Time Around, was being released after the groups break up. Buffalo Springfield did a reunion tour 2011 with six concerts. In 1969 Neil Young joins Crosby, Stills & Nash (CSN) and the super group were renamed to Crosby, Stills, Nash & Young (CSNY). Neil played guitar, harmonica and would also sing. Déjà Vu was the first album with the new Crosby, Stills, Nash & Young and also the best selling album with the group. Despite a reputation as not very skillful musicians, this was Neil Young's favorite band. He has played with Crazy Horse live in lots of occasions and also in many studio recordings. Two of the albums Neil Yong did together with Crazy Horse were Everybody Knows This Is Nowhere and Zuma. Other members have been in the band in different periods and among these Jack Nietzsche and Nils Lofgren can be mentioned. Crazy Horse also made records without Neil Young as the front man of the band. One example is Crazy Moon from 1978 with Young contributing on guitar.